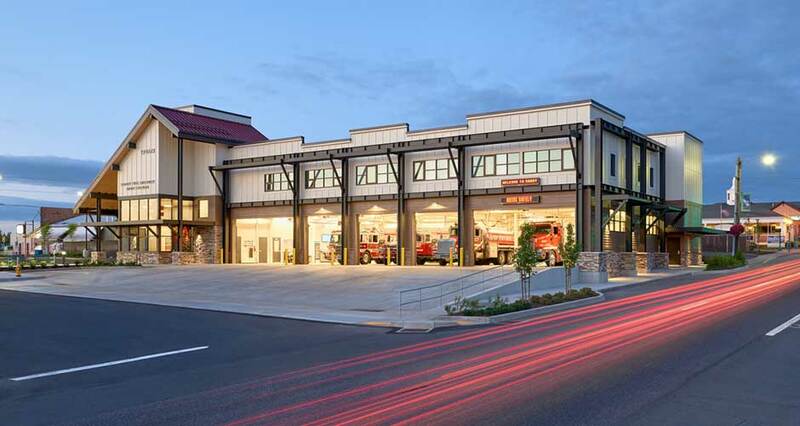 The major renovation of Sandy Fire District Main Station entailed a seismic retrofit, doubled capacity for staff, and a reimagined aesthetic in line with new City guidelines. A combination station with career and volunteer firefighters, Sandy Fire serves a region stretching from the outskirts of the Portland metro area to the base of Mt. Hood. 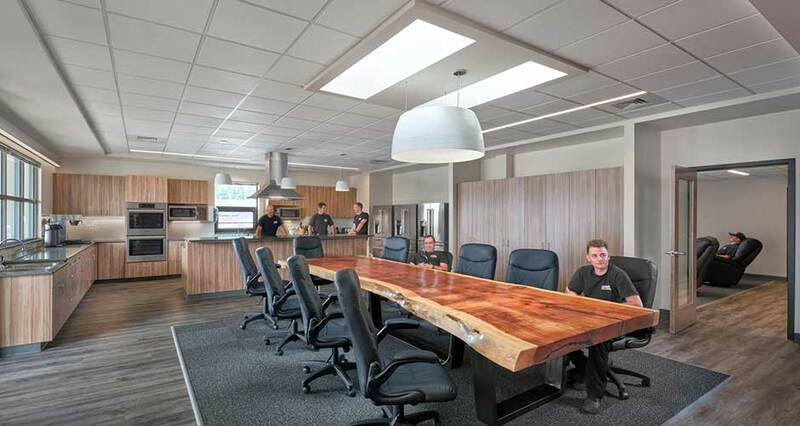 The renovated facility now fully supports a growing community, provides a healthier work environment for its staff, and sets an aspirational standard of design for the City. 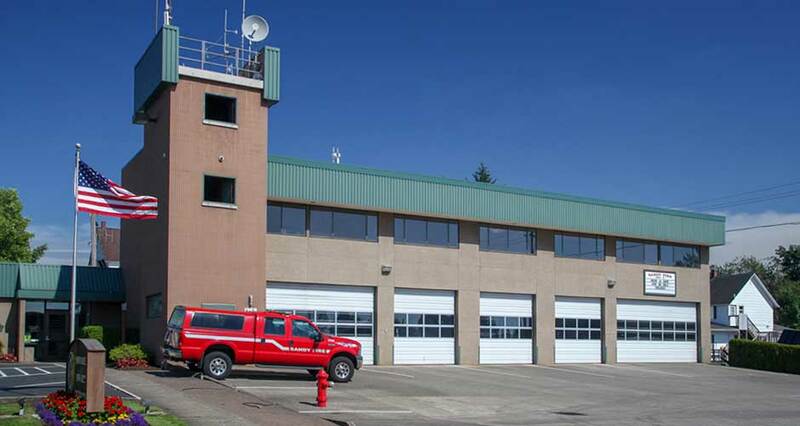 A headquarters station, Sandy Fire houses district offices, administrative staff, and 24-hour fire crews. 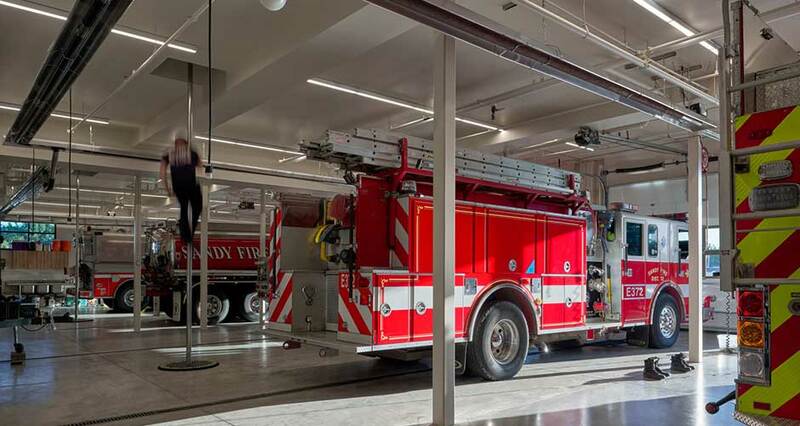 The facility has five apparatus bays, two with double-width doors, and includes a community-accessible training room, and outdoor training grounds. All building systems were upgraded, including the exhaust removal system and a fully integrated alerting system that ties in to county dispatch. The renovation added rooftop patio space as an outdoor amenity for staff, and mitigated noise entering living quarters from the nearby highway. The project’s central challenge were the requirements of a new structural system and the City’s mandated style. The “Sandy Style” is Cascadian in character, inspired by mountain buildings with steep roofs, post and beam construction, and an emphasis on natural colors and materials. The old station reflected none of these traits. The team also determined that a cost effective seismic upgrade required a steel frame on the building’s exterior. 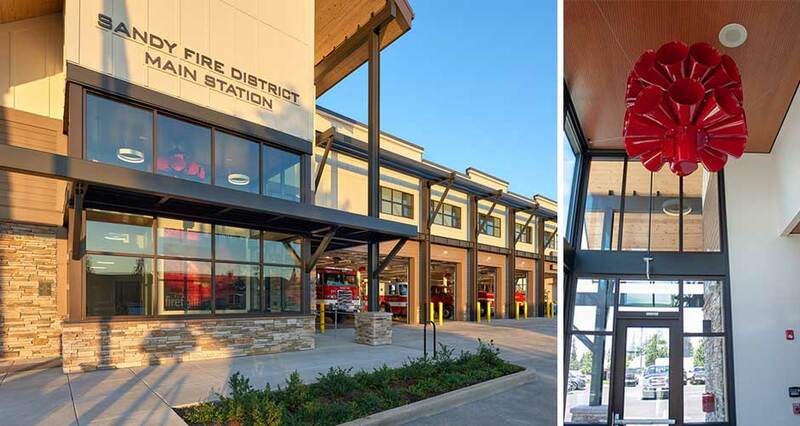 Our creative solution combined these functional and aesthetic requirements, using the steel structural elements to evoke post-and-beam construction. 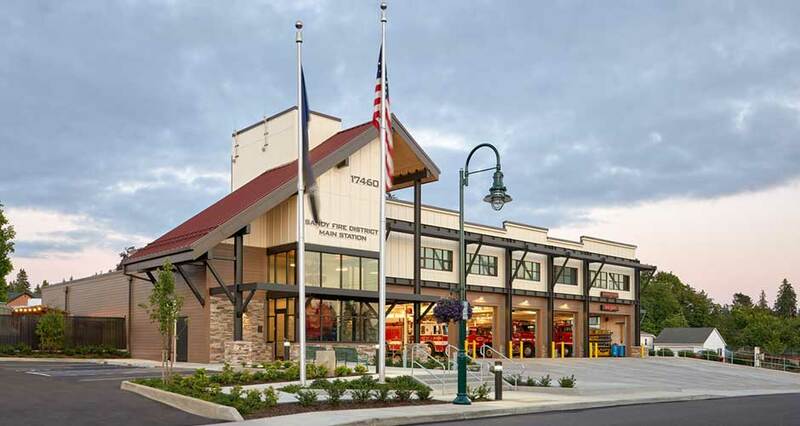 A new roofline reflects the Cascadian style, and together the design elements give the station its own identity as an authentic fire station, while remaining true to the City’s overall vision.